The drugstore has been non-stop releasing new goodies and I am loving it! The Maybelline Face Studio Master Blush Highlight and Contour Kit came was released earlier this year so you should be able to find it now. Keep in mind with new products they are sometimes not in the permanent display yet and can be found at the end of an aisle or on a separate free-standing display. 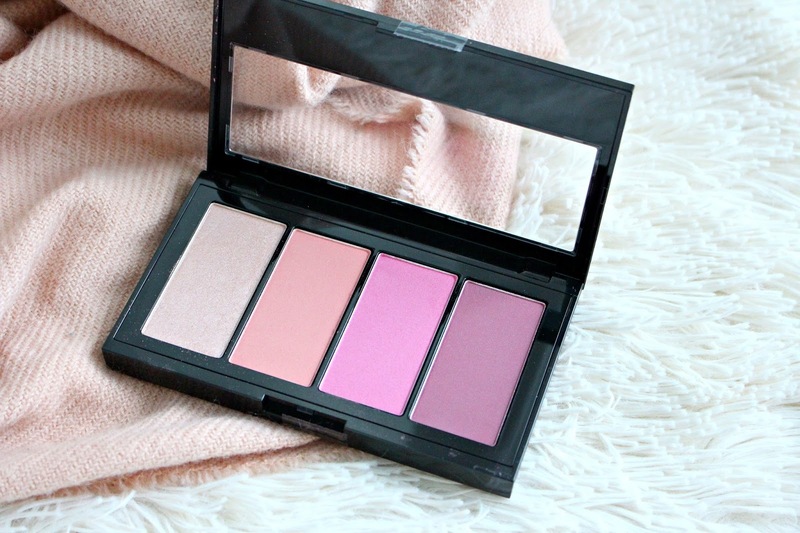 If you'd like to see the new Maybelline Blush Palette in action I used it in a Trying Out New Drugstore Makeup Video. 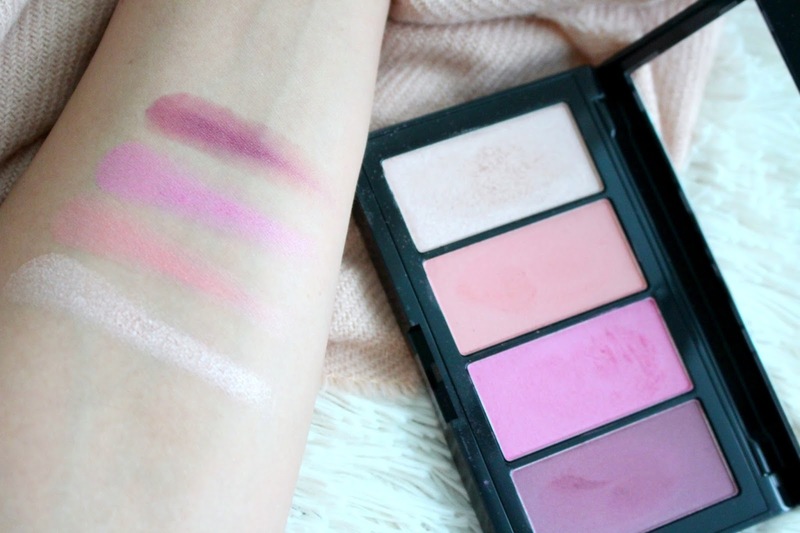 I also mentioned in it a video chatting all about Drugstore Blush Palettes. 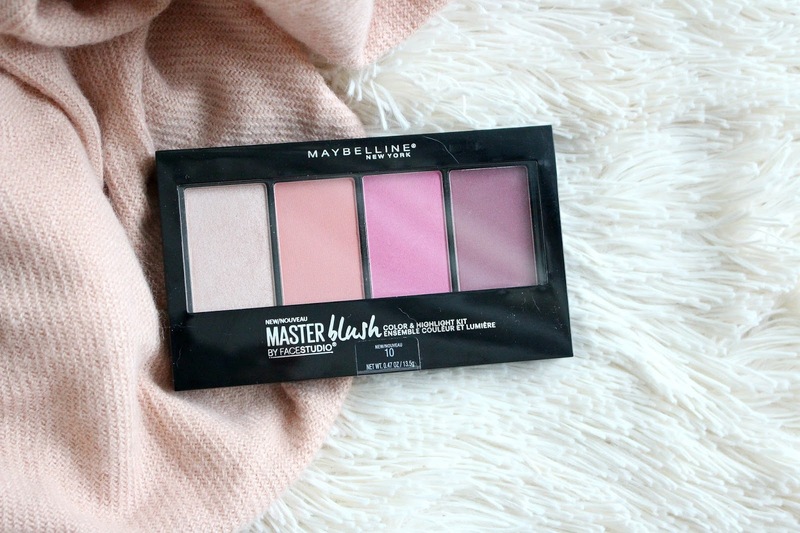 The Maybelline Master Blush Palette retails for around $12.99 to 16.99 depending on where in the world you are and the store you pick it up at. It includes 3 matte blushes and a highlighter. At a glance I was really excited about this palette, the shades were unique - especially for a drugstore option. The coral and purple really appealed to me. I was happy to see it was not just the typical peachy/pink with gold shimmer. The packaging is nice as well, not too bulky, you can see the product inside and it does not include a brush I'll never use. Overall, I really like this palette. At first when I tried it I wasn't sure. It isn't the ideal match for my warm, deeper skintone but it is good quality. The shades are unique, pigmented and blendable. The highlight has no glitter, it is a little too pink toned than what I generally prefer. The highlight in the Maybelline Master Contour is more flattering on my skintone. Sometimes that I love that this palette is the purple blush, such a great shade that actually translates purple on the skin (in the best way possible). I also feel the wear time of this palette is great. I wish they would come out with another deeper version. Maybelline does a great job with their foundations and concealers and having a wide shade range, but the same cannot be said for their coloured face products.